‘Susanna Clarke’, ‘Robert Louis Stevenson’, ‘Novalis’, ‘Romanticism’ and ‘The Victorian Tale’ (2016) In Folktales and Fairy Tales Traditions and Texts from around the World, 2nd Edition eds. Anne E. Duggan and Donald Haase, with Helen J. Callow. ‘Susanna Clarke’, ‘Robert Louis Stevenson’, and ‘Novalis’ (2007) in The Greenwood Encyclopedia of Folktales and Fairy Tales ed. Donald Haase. 2009. ‘Crossover fiction and narrative as therapy: George MacDonald’s Adela Cathcart’ in Barnboken (Journal of the Swedish Institute for Children’s Books), 32(9). 2005. ‘A Source for the Trampling Scene in Jekyll And Hyde’ [PDF] in Notes and Queries, 52(4): 493–494. 2005. 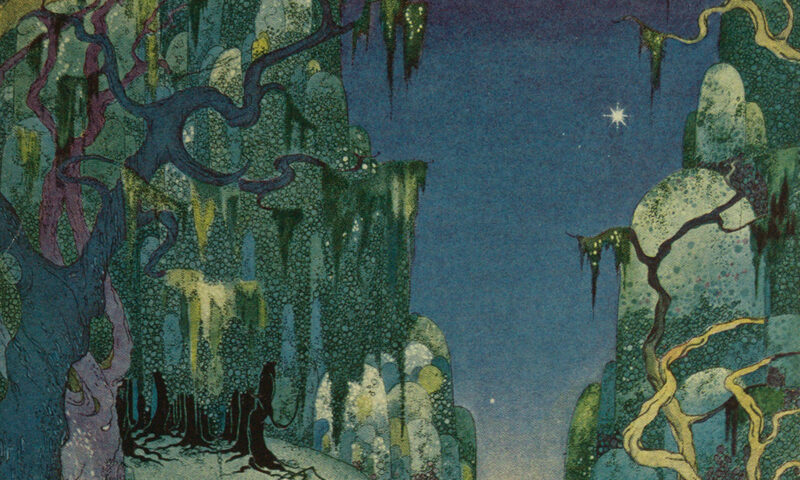 ‘The Incomplete Fairy Tales of Robert Louis Stevenson’[PDF] in the Journal of Stevenson Studies, 2. 1997. ‘Death, Myth and Reality in C.S. Lewis’. [PDF] Journal of Beliefs & Values 18(2): 147–154. 1994. ‘Goethe’s The Metamorphosis of Plants : the issue of science and poetry’. Archives of Natural History, 21 (3): 379–391 (October 1994). 2018. ‘Print’. [PDF] In Routledge Companion to Media and Fairy-Tale Cultures, ed. Pauline Greenhill, Jill Terry Rudy, Naomi Hamer and Lauren Bosc (London: Routledge). 1990. God Gives the Growth: An Essay on Theology and Psychological Development. West Sussex Institute of Higher Education. 2014. Review of Magical Tales: Myth, Legend, and Enchantment in Children’s Books. Edited by Carolyne Larrington and Diane Purkiss. Oxford, UK: Bodleian Library, 2013. 200 pp. Marvels & Tales, 28(2). 2010. Review of Goethe’s The metamorphosis of plants. Introduction and photography by G. L. Miller. MIT Press, Cambridge, Massachusetts, & London: 2009. [PDF] in Archives of Natural History, Volume 37 Issue 2: 364-365.